All four of GB Boxing’s female Commonwealth Games winning medallists have been selected to compete at the forthcoming EUBC European Women’s Boxing Championships in Sofia, Bulgaria, (5 – 12 June 2018). Welterweight and flyweight, gold medallists, Sandy Ryan and Lisa Whiteside, will box for England alongside lightweight silver medallist, Paige Murney. Glamorgan’s middleweight gold medallist, Lauren Price, will compete in the Wales vest. Ryan, Whiteside and Price all secured bronze medals at the last European Championships in 2016, and are hoping to use their gold medal winning exploits on the Gold Coast as a springboard for more success in Sofia. Price said: “I competed at middleweight (75kg) in the Commonwealth Games and came away with the gold medal. I think boxing at that weight suits my style more at the minute with my speed and footwork. Ryan added: “Winning gold at the Commonwealth Games was amazing and the support I have received since, particularly from my local community in Derby, has been amazing. It will definitely spur me on at the Europeans. “I was selected for the European Championships back in 2016, where I won bronze in the lightweight (60kg) division. This time I’m entering in the welterweight (69kg) category and I feel a lot better. This weight class suits me as I do not have to cut weight as much and I feel much stronger and more confident. Newcomer, Paige Murney, was a revelation at the Commonwealth Games winning a silver medal at lightweight in her first senior international tournament. The 23-year-old from Leicester is looking to build on this success but knows the European championships will be a step-up. “There was no expectation placed on me at the Commonwealth Games so to win a silver medal was an amazing experience,” explained Murney. The four Commonwealth Games gold medallists are joined by Ebonie Jones who is a member of GB Boxing’s Podium Potential squad and recently won gold for England at the European U22 Championships. Jones will compete at bantamweight (54kg). GB Boxing’s Performance Director, Rob McCracken, added: “This is a very busy year for the women with Commonwealth Games and European and world championships (in September) all happening. 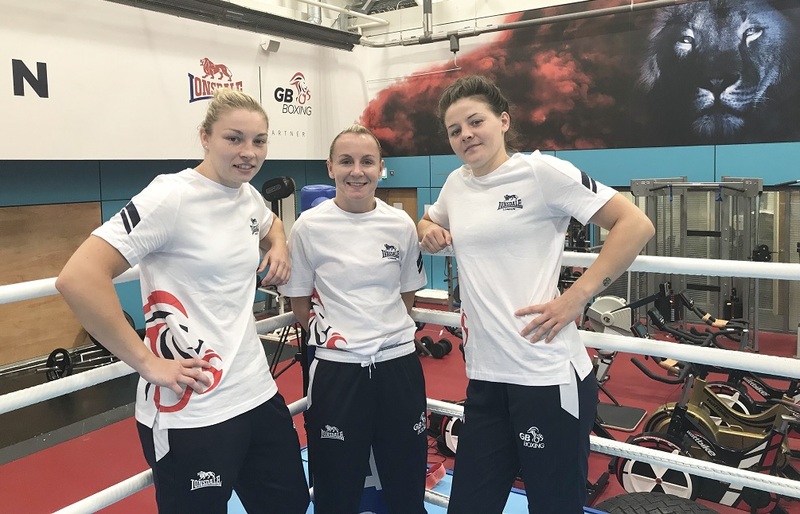 The five women in the GB Boxing squad will travel in a group with two home nation boxers that have been selected by England Boxing to compete at the tournament. Demie-Jade Resztan will compete at light-flyweight and Karriss Artingstall at featherweight. Results and updates on the progress of the team at the European Championship will be posted at www.gbboxing.org.uk and on the GB Boxing twitter feed @gbboxing once the tournament begins.